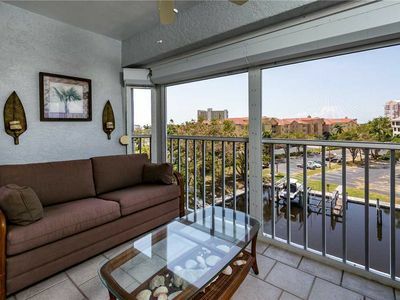 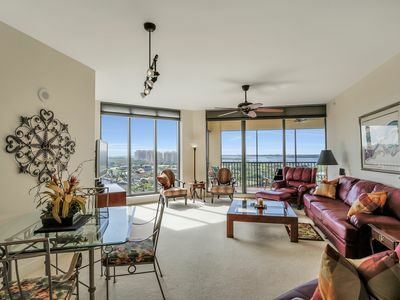 This two bedroom two bath condo on the 4th floor overlooks a lake and the golf course. 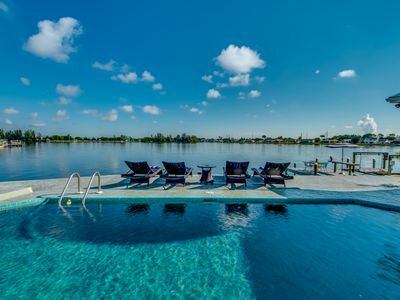 The community offers an executive golf course, driving range, tennis, pickleball, boating and kayaking as well as resort style and an olympic sized pool. 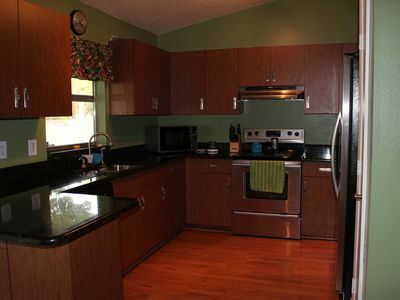 There are also two restaurants and catering facilities available. 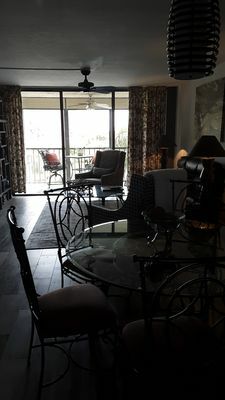 The unit is fully furnished with all of the necessities to keep you comfortable during your stay. 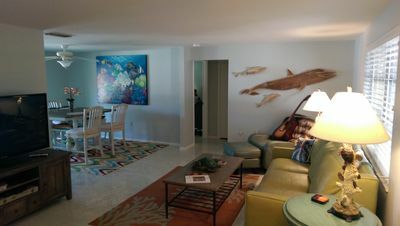 Wifi, cable, full laundry and kitchen and a television in each of the bedrooms and the living room. 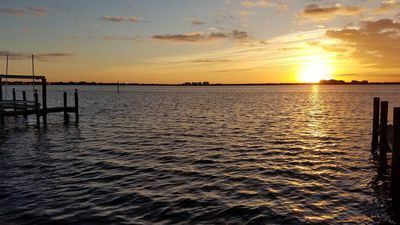 BEAUTIFUL SUNSETS BETWEEN TIME SQ/BOWDITCH PARK/ UP TO 2 DOGS 50 lbs each! 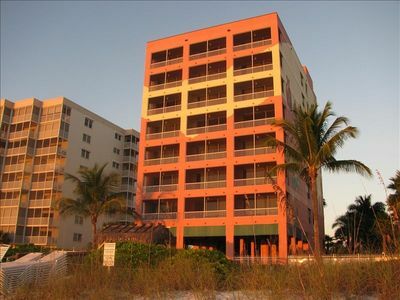 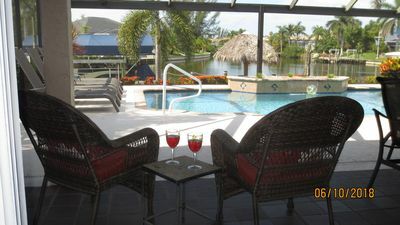 Cape Retreat Waterfront Vacation - Palm Trees & South Facing for All Day Sun! 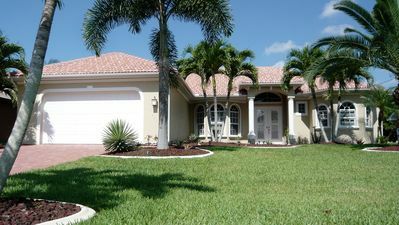 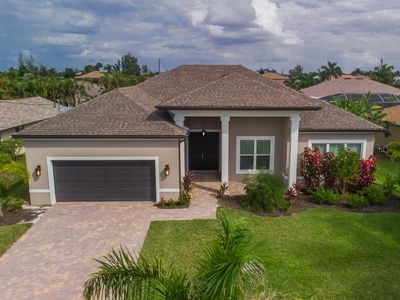 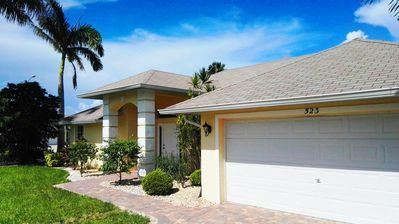 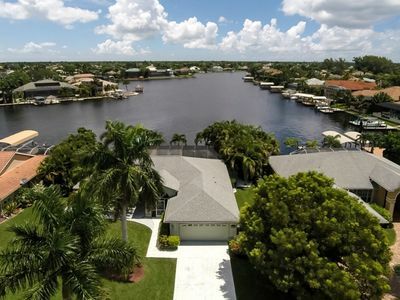 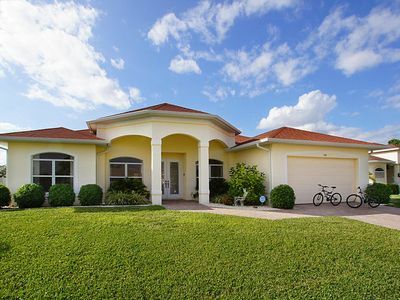 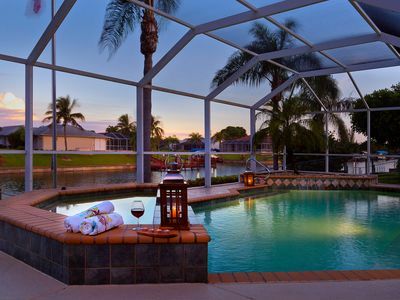 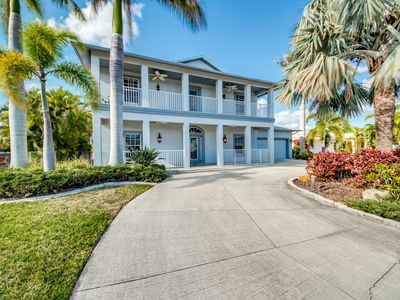 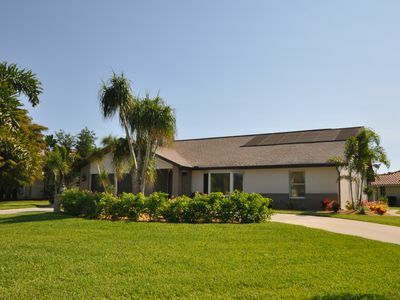 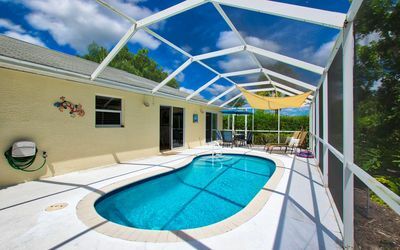 Tropical Oasis in SW Cape Coral - Vacation in This All New Home!